“To provide Hassle-Free Service by an empowered team in an atmosphere fostering input and participation.”, combined with our value-added business model of Products, Service, People! Not just products, but great products! Our commitment is to provide the most award winning, top selling, specialty products to our dealers. Our product lines are never sold direct and are not offered in big box stores. 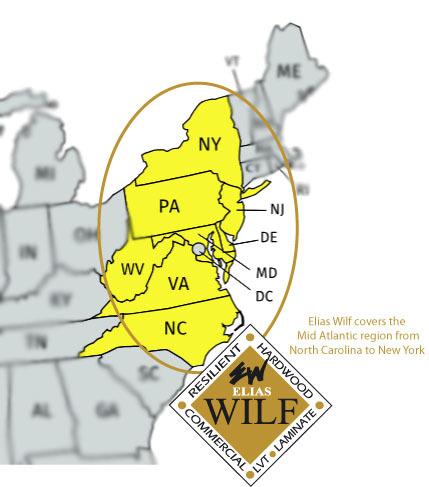 The Elias Wilf overall family of products has never been better, more relevant, and more well positioned to meet the challenging consumer demands within our evolving flooring industry. Elias Wilf carries substantial inventories of all our stocking product lines with over 15,000 SKU’s, and delivers them with the highest degree of accuracy in the industry today. Not just service, but great service! Elias Wilf takes pride in providing our customer service department with the latest technology available to deliver services that are current, complete and accurate, as well as proper product training. Through this effort, we have built customer confidence and loyalty by dedicating ourselves to providing hassle-free service, as well as, satisfaction by answering all account needs including expediting answers on inventory availability and orders. In addition to unparalleled speed and accuracy, our Customer Service team is dedicated to making it better and easier for you by offering the personal service you deserve. Elias Wilf’s distribution chain is comprised of modern, fully staffed warehousing facilities, professional Elias Wilf drivers and a fleet of trucks equipped with the most state of the art GPS system that allows us to track and monitor deliveries to the minute. Our outstanding sales team consists of individuals thoroughly trained and knowledgeable and with many years of flooring experience. Their professionalism and the attention they give to the floor-covering retailer is unsurpassed by any other distributor. Our sales team continually aspires to serve the floor covering retailer by providing knowledge, education of product lines, installation clinics, manufacturer support and loyalty.